In our continued series of making older devices feel that much more new, we set our sights on the Galaxy Note 2 today. Sure, it has been replaced earlier in 2013 by the Galaxy Note 3, but that doesn’t make it any less awesome than it was when it first came out. For those of you looking to bring a little bit more to the table with their Galaxy Note 2, check out a few of our tips on how you can breathe some new life into it. Like we said above, this is by no means exclusive to the Galaxy Note 2, but it is something that you should definitely check out if you use your Galaxy Note 2 as a portable toolkit. AirDroid is a fast and free solution to manager your android device from your desktop computer. The connection is made without cables and you can easily control your android with mouse and keyboard. You can send SMS, load data to the device, install apps, delete or move data around, take screenshots, and a ton of other things. AirDroid is intuitive to use, does not require any root rights and should be staple for all android users. If you’ve stuck around with Touchwiz on your Galaxy Note 2 since you got it, it’s time to venture out of the walled garden and try something else. 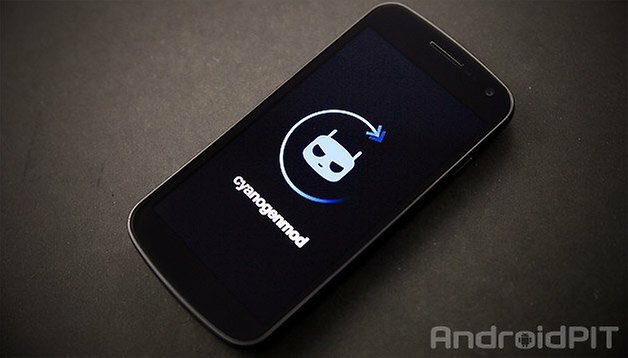 First, you’ll need to unlock and root your device (just follow our handy guide) and then you can go ahead and grab something a little bit more exotic, say, CyanogenMod? With a ton of features including PIE Mode, customizable lockscreens and quick launch guides, automated profiles based on location/connection, it’s hard to imagine why you wouldn’t give it a shot. Plus, with the CyanogenMod Installer officially supporting the Galaxy Note 2, installation is literally just a click away. Let’s face it, the Galaxy Note 2 almost borders on a tablet-sized device. As such, it’s not out of ordinary to want to be able to watch videos on it. I do it all the time with my tiny little smartphone (I’m ashamed to say it’s an iPhone 4S) when I’m at my desk doing work, so it would make sense to do the same for a Galaxy Note 2. With the aid of a handy stand case, you can make watching videos or media a breeze and more comfortable than trying to prop it up against something. Plus, it doubles as a normal case for when you need to head out and take it with you. Turn it into a PC, sort of. Probably one of the cooler accessories out there, this Smart Dock for the Galaxy Note 2 allows you to turn your Note 2 into a semi-computer. Great for if you’re on the road and need to get some work done in your hotel room and don’t feel like fiddling with the smaller screen on your Note 2 for extended periods of time. This smart dock turns a HDTV into a workstation and has three USB ports, which you can connect a mouse, keyboard, and USB drive at the same time. As well, there is also a line out and charging port to complete the awesomeness of this dock. My experience has been to root and install twrp. And stay with a stable build room the one I keep going bsck to is clean rom 5.0.0 its a fantastic rom. Any app multi window. And free of all bloat ware. The reason we bought the note was for the spen features. Going to cyangen u lose all touchwiz. Sure its faster but to many issues of fc's. Best one is beanstalk. But again I revert back to clean rom everytime. Good luck and be csrefull u can brick ur phone if you dont read and read and read. Every device has its own rom. Always use ur device i317 etc t889 etc dont use another devices rom for urs unless it states so. Cwm installhttp://forum.xda-developers.com/showthread.php?t=1988785 twrp link http://forum.xda-developers.com/showthread.php?t=1981198 clesn rom linkhttp://forum.xda-developers.com/showthread.php?t=1986893 my email dalephill2@yahoo.com. In case of n2 you dont even need a stand case. You can also combine the flipcover and a tpu case. Personal experience speaking. Nice! That's good to know.